Effective communication is good for everyone. Companies benefit from improved workplace communication with increased productivity and operational effectiveness, while individuals benefit with increased morale, commitment, and productivity. A common barrier to communication involves a lack of understanding around one’s communication style and how to approach and communicate with others who may have different preferences. As part of our Flagship programs series, we’ve put together some of the most frequently asked questions about how our programs impact leaders and teams. Everything DiSC® is a behavior-based assessment of a leader’s preferred communication style and personality traits that, when leveraged, can improve workplace productivity. 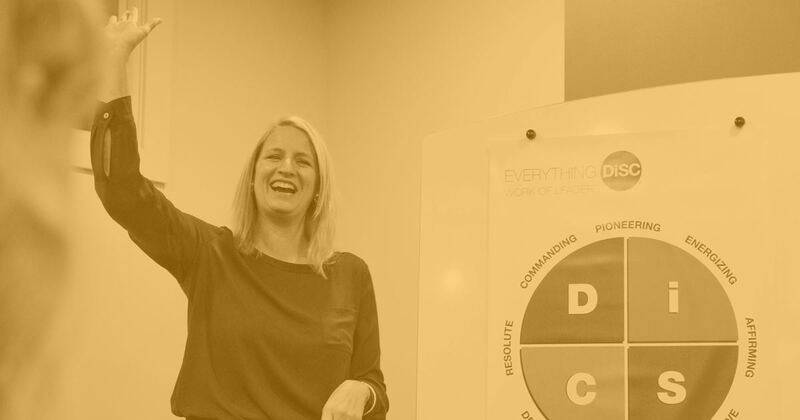 DiSC® is not a test, it’s a non-judgmental, behavioral-style assessment and training suite that helps leaders and teams build more effective relationships and improve workplace communication. The research-validated personality assessment focuses on different behavioral styles. DiSC® is a simple—and memorable—model made up of four basic styles: D (dominance), i (influence), S (steadiness), and C (conscientiousness). How does it differ from Myers-Briggs? DiSC® helps people interact. DiSC® is not only for self-understanding of behavioral style and motivation; it provides a framework to understand other working styles and actionable tips for working more effectively with those other styles. While MBTI’s is also a research-validated assessment, its goal is to offer further information about one’s unique personality—without providing comparison to others. Based on over 40 years of research, DiSC® uses adaptive testing and sophisticated algorithms to quickly analyze a person’s responses and provide the most personalized DiSC® feedback possible. The assessment asks participants to respond to statements on a five-point ordered response scale, indicating how much they agree with each statement. It only takes 15 minutes to complete. What is included in the Everything DiSC® report? Everything DiSC® personality assessments are application-focused, so the feedback is presented to you as a leader, manager, individual contributor, or sales person. The report includes sections on your style, priorities, motivators and stressors, and tips for understanding and interacting with other styles. To learn more, download a sample report here. Are there additional DiSC® resources? Yes, there are a variety of follow-up tools for added value, including comparison reports, group culture reports, and facilitator reports. All DiSC styles and priorities are equally valuable. No style is better than another. Can one’s DiSC® profile change over time? You won’t see any drastic changes to your DiSC® profile over time—behavior usually remains consistent. How should I use DiSC®? Everything DiSC® solutions are frequently used as stand-alone tools, but can easily be used within larger leadership development programs. They can be used for individual contributors as well as teams. Why do we recommend DiSC®? DiSC® is the leading personal assessment tool used by over 1 million people every year to improve work productivity, teamwork, and communication. 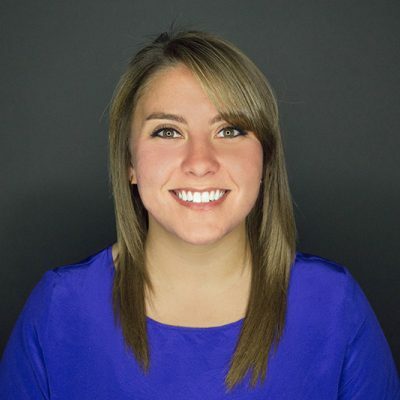 Bailey Shrum is an alumna of the FlashPoint marketing team.